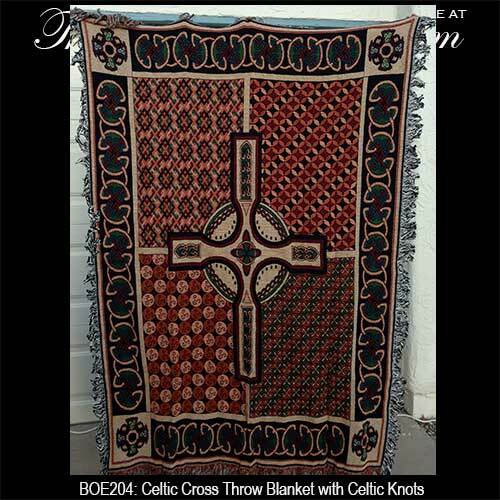 This Celtic cross blanket is made in the United States. 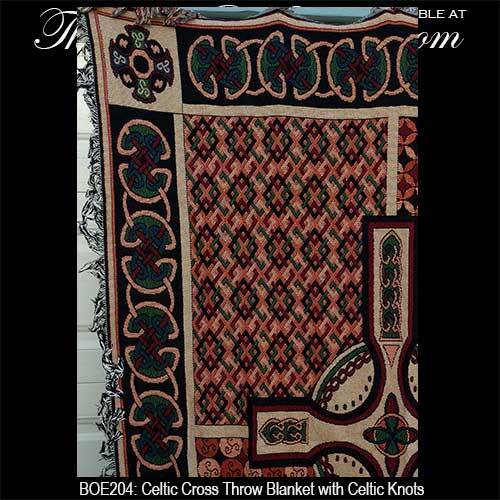 This colorful Irish throw blanket features a Celtic cross in the center and it is enhanced with knot-work along the borders. 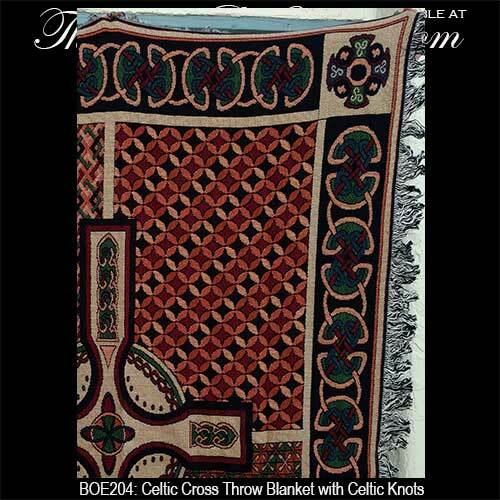 The Celtic blanket is 100% cotton and boasts an additional cross in each corner. 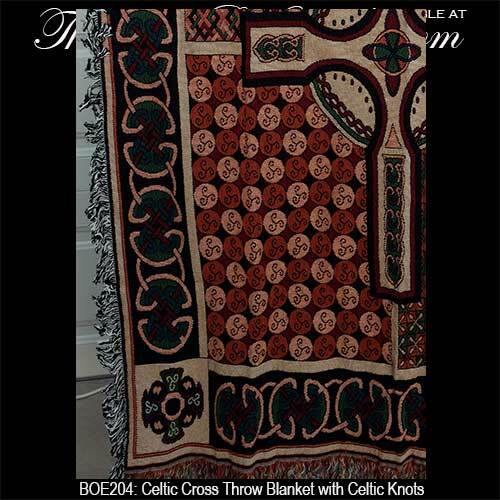 The Irish blanket measures 51” wide x 68” long and is presented with Celtic knot and Celtic cross history cards, complements of The Irish Gift House. 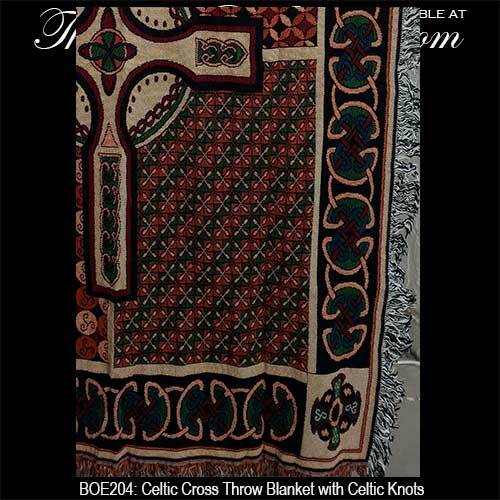 Irish throw blanket is our best selling design which features a pastoral setting along with the celebrated Irish blessing. 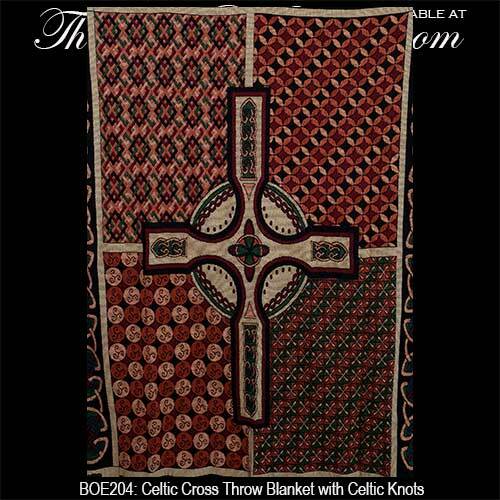 Irish blessing blanket features the Claddagh symbol.